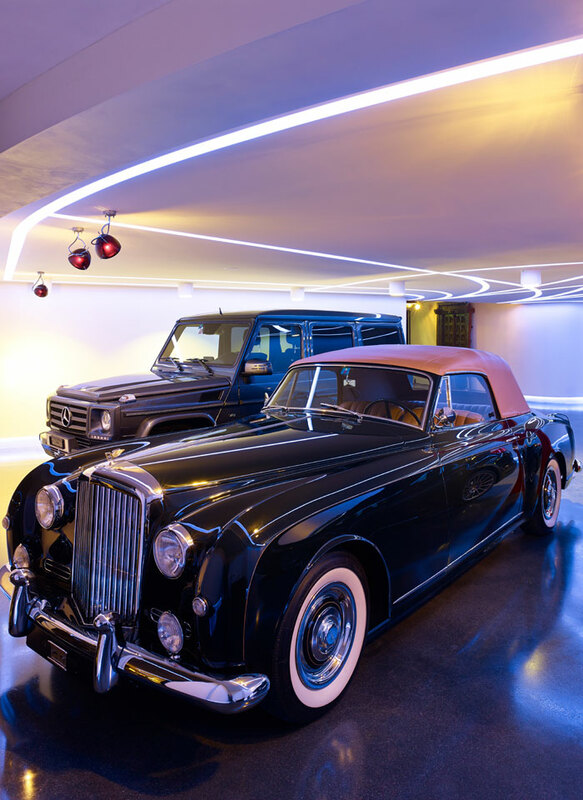 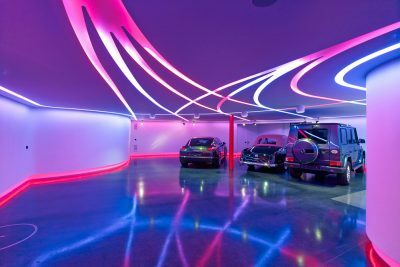 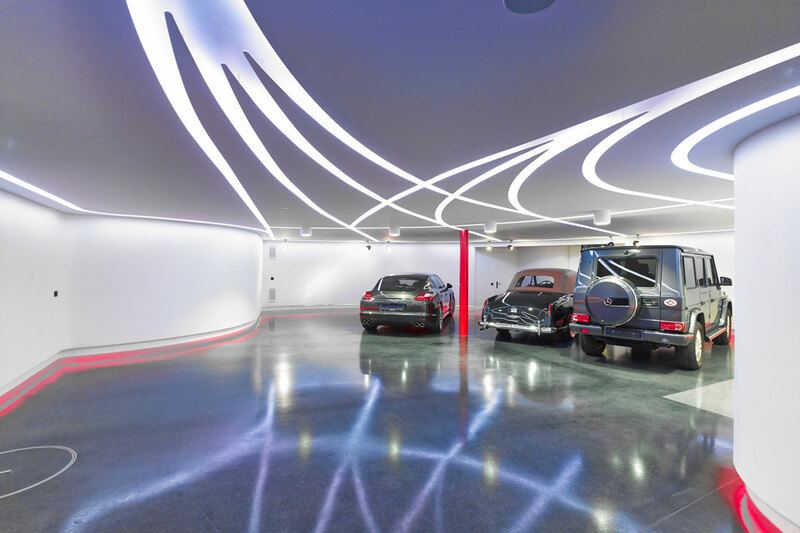 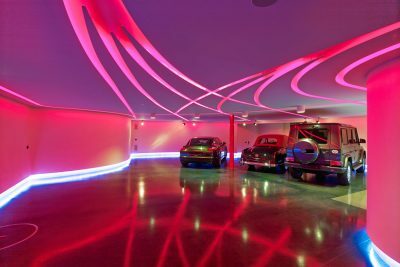 The lighting design extended over the 300 m2 spa area of the house and the 150 m2 garage, which also serves as a function room and showroom. 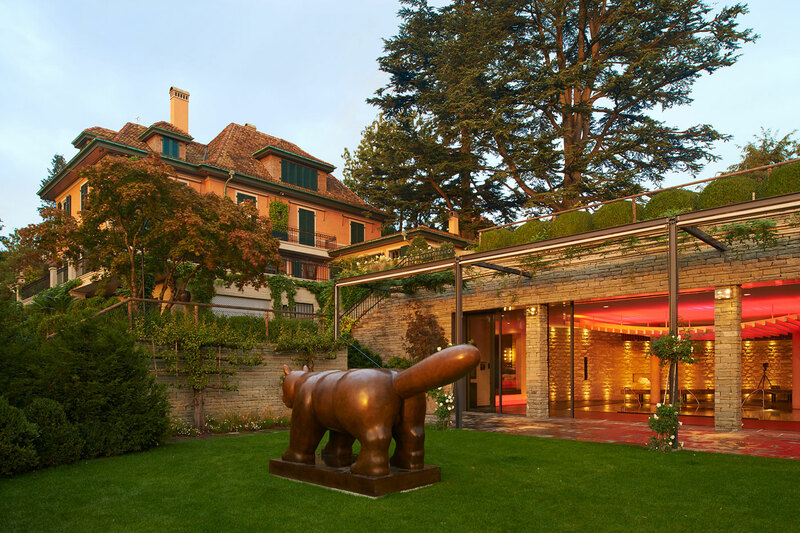 The property is built into a slope. 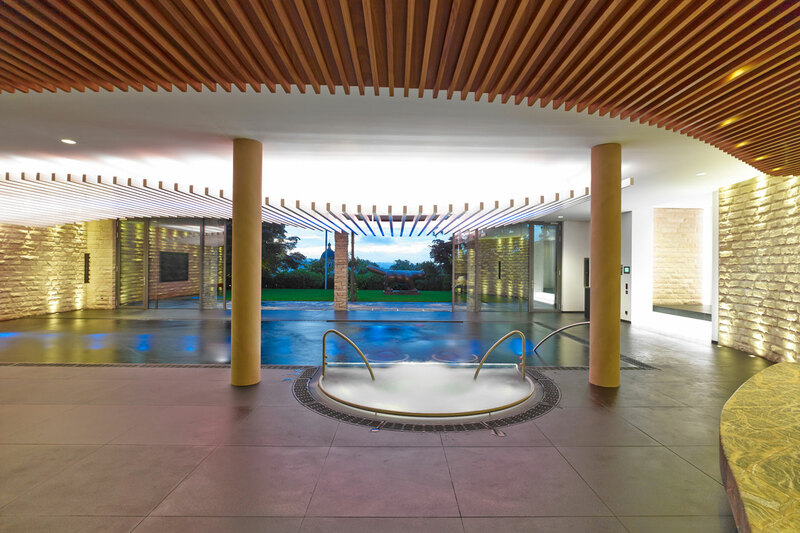 The view from the spa over Lake Zurich and the Alps opens out from a glass façade. In order to balance natural and artificial light, a room-size sculpture was designed that accentuates the pool and ensures a sufficient level of illuminance on the ceiling. The wave, composed of white wooden slats, incorporates RGB-controllable LED stripes, which shine indirectly onto the surface of the ceiling. 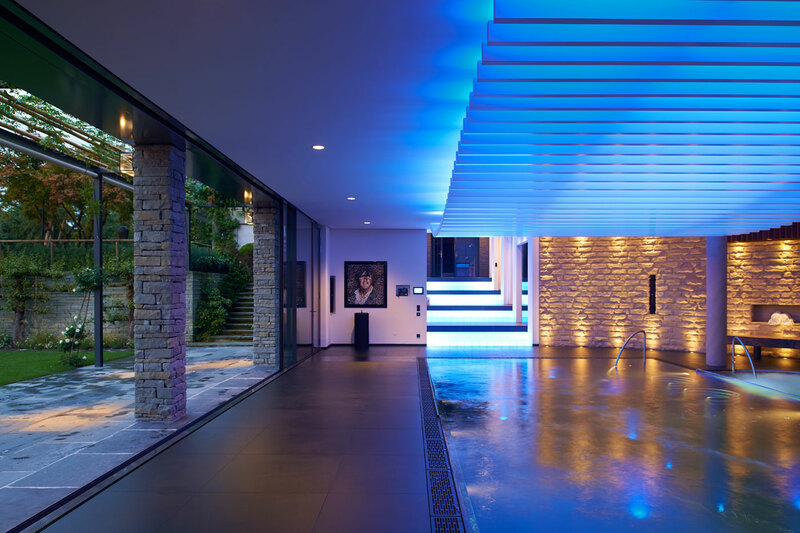 Lights at the bottom of the swimming pool project the movement of the water onto the wave sculpture. 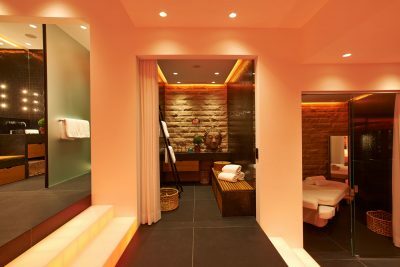 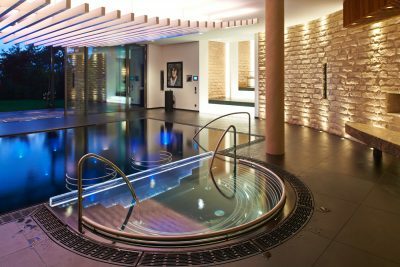 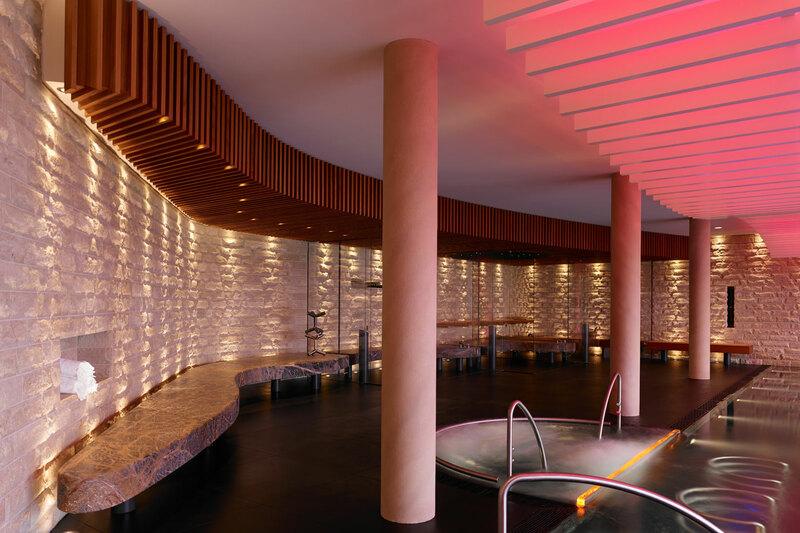 There is a heated bench alongside the pool, into which the steam bath, sensory shower and sauna are integrated. 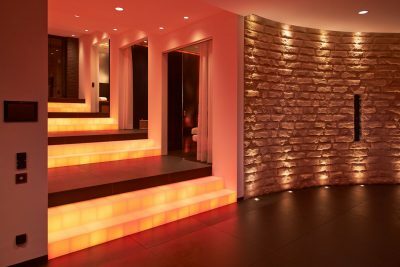 There are changing rooms, showers and a massage room along the stairs. 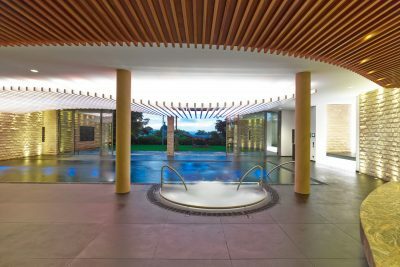 The connection between the pool area and sauna zone is designed as a stairway of light with changing colours. This custom structure composed of glass brick steps and bespoke LED lights (planes) was designed for easy installation. Four lighting moods are available, the general white light and three dynamic colour programmes (red-orange: fireplace, blue-white: ocean freshness, green-yellow: spring). One colour programme can always be combined with the white light; brightness and degree of colour saturation can be varied. Cornice lighting and recessed ground lights accentuate all sandstone-clad walls, which are adjacent to the cliff face.